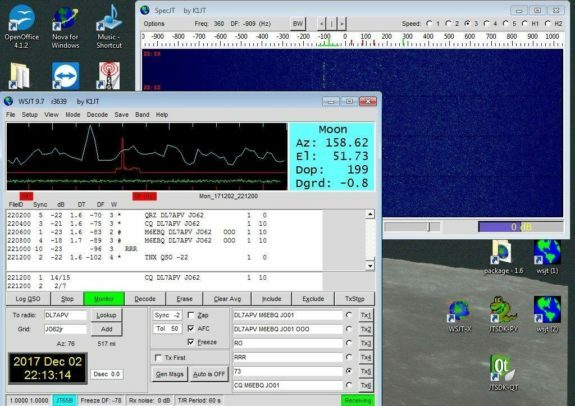 It’s believed that Basildon-based Dorothy M0LMR, using her callsign M6EBQ, may be the first to use an M6 callsign to achieve a two-way QSO via the moon. This EME / Moonbounce contact was achieved on the 2nd of December 2017 using a 70-17m DG7YBN 17-element yagi and 10 watts at the feed. 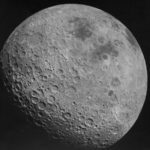 “We started on this quest to get an M6 UK foundation licence holder to the moon way back at the beginning of 2015. Between then and now, not only us here at MX0CNS but also Dennis W5RZ have been operating and showing that many things people say are impossible are in fact not. 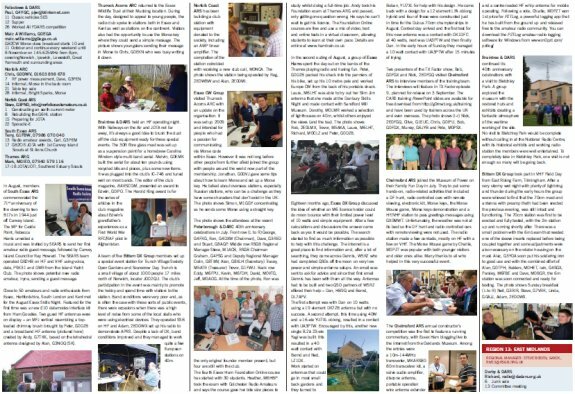 It’s been hard at times but with the help of some of the finest operators and designers, it’s been great fun. Dorothy is rightly very pleased with achieving the goal (as far we are aware) of being the first M6 to the moon and back! if this doesn’t encourage people to try themselves, or try other things that seem impossible, what will? Dorothy started calling Bernd and after a few sequences he reports on the logger, ‘I can see a trace’. But was it M6EBQ he could see? After a few more CQ’s from Bernd the all-important M6EBQ DL7APV JO62 OOO appears like magic on the screen and after repeating RO a couple of times, the rest of the QSO went straightforward. A nice touch from Bernd instead of sending the usual 73 (73 does not have to be sent in an eme qso ) he sent ‘TNX QSO -22’. Wow what a signal! To put that in context, during all the testing at higher-power using the gtv17, the best report it has received is -24. The contact was made using a Yaesu FT-857 @ 10w into a DG7YBN 70-17m 17 element yagi on a frequency of 432.063MHz in Shoeburyness. 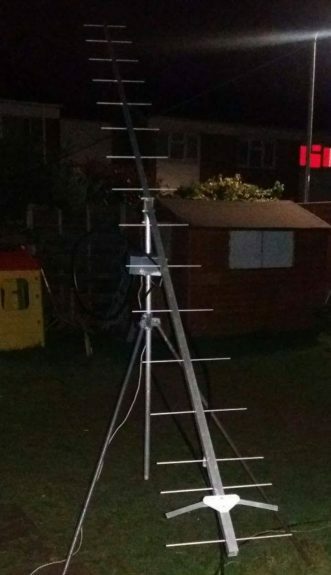 Tom from Essex DX Group hopes that this encourages not just M6 licenced operators (who are told ‘not to bother with VHF/UHF on 10watts’), but all licence classes to have a go and try a moonbounce contact. Well done to Dorothy, who (as always) is one very happy ham! Well done Dorothy, 384,400 km very impressive.